Super easy to prepare. Tasty. Will order again. Love the variety this service offers. My whole family loved this dish. We loved slight curry flavor. Please put this on the menu again!!! What a great dish! Light, yet with lots of flavor. I added some sirracha for more kick. This is soooooo good!! This was super-easy & super-quick to prepare. 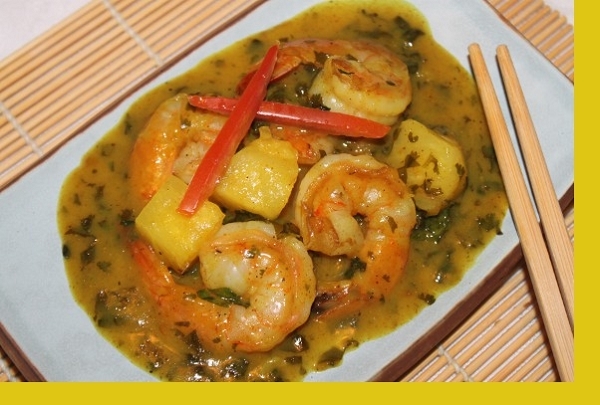 I love dishes with coconut milk and curry! This dish didn't disappoint at all! The pineapple chunks added a sweet surprise to the pallet and the sauce tied everything together wonderfully. MY SON AND EVERYBODY THAT HAS TRIED THIS DISH LOVES IT. HAD TO GET EXTRA SERVING FOR MOTHER. YES, HINT OF CURRY! This is my first time to try any of the shrimp dishes and this one was amazing. So easy to prepare and I loved the hint of curry flavor. 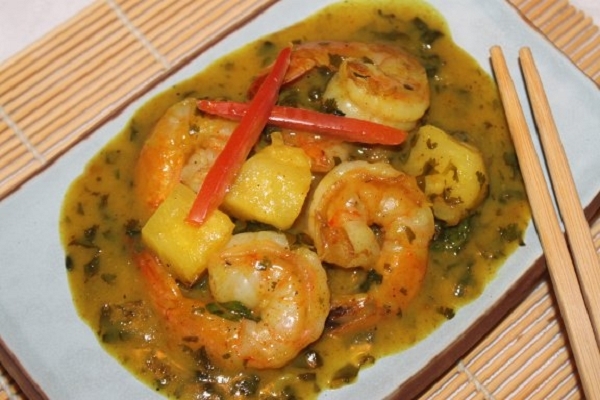 Our first dinner, Pineapple Cilantro Shrimp, from Maria's Gourmet Kitchen, this evening, was just 'delicieuse'. Sirop, a food connesseur, could not stop complimenting. A great dinner for shrimp lovers at such a reasonable price. Thank you Maria. We will look forward to our next meal!